Even though I live in a state with semi-dry weather, I still seem to have frizz issues with my hair. Our weather here can sometimes be warm one day, and chilly and rainy the next. Weather issues aside, I have always had a difficult time trying to get the perfect look for my hair, whether it’s the perfect shine or the perfect touch. I’m sure by now I have tried at least a hundred different shampoos, conditioners, and products in order to get that perfect look. I found exactly what I was looking for when using the Living Proof frizz® shampoo, conditioner, and styling cream. I was a bit hesitant to try another frizz-free hair care system; the last one that I used weighed my hair down. My hair stylist always tells me that I have a lot of hair, but that it is very fine. It is already enough of a challenge for me to add body to my hair without using products that weigh down my hair. I put the Living Proof frizz® shampoo and conditioner to the ultimate test when I went to California last month, but unfortunately did not have an extra travel bottle to take the styling cream with me. I have been to California a handful of times in my life, and noticed when I was there at the ages of 16 and 17 that I had so many problems with my hair. During my adulthood, I’ve used higher quality shampoo and conditioners, but found that I was having the same problems as I did in my teen years when I returned to California. I couldn’t get my hair to completely dry, and any attempt to straighten it with a flat iron resulted in frizzy, out-of-control waves by the end of the day. I wish I’d had the styling cream with me in case that was the missing ingredient for perfect, frizz-free hair in California. I used the shampoo and conditioner each night I was there, and found that my hair felt completely dry. I was even able to get it almost straight with my flat iron. However, an afternoon in Disneyland did all those crazy things to my hair that I am used to while in California. Again, I don’t know if this is because I didn’t use the styling cream along with the shampoo and conditioner. Once I got back home to Utah, I began to use Living Proof frizz® shampoo, conditioner, and styling cream daily. My hair dries completely (only on the days I’m patient; sometimes I find wet spots near my roots), never feels weighted down, and I am able to get the straight, sleek look that I love with my flat iron. Just to compare, I switched back to Suave Professionals for a day, and hated the results. My hair felt dry and it wouldn’t straighten with my flat iron, so I pulled it up in a pony tail since there was nothing I could do with it. When using Living Proof frizz® shampoo, conditioner, and styling cream, I get consistent results. Other brands of hair care products that I have tried just cannot compare. Additionally, they are also sulfate-free and don’t leave my hair feeling greasy or oily. 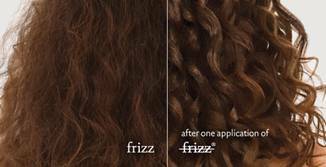 All your hair woes will come to an end once you try out Living Proof frizz®. Don’t want to commit your time or money on product if you’re not sure it will work for you? Check out the discovery kit for smaller sized containers perfect for travel and trial purposes. I like the frizz leave-in conditioner. I would be interested in trying the Full Shampoo and Full Conditioner. My fine hair needs the Prime style Extender. I am interested in trying the restore shampo.